As an E.V. advocate, I’m often asked by micro-car fans why more startup electric car companies don’t, or can’t, take their logically progressive compact prototypes to market viability? There’s a lot to it! Our friends at Arcimoto Electric speak up. Mark Frohnmayer of Eugene, Oregon’s been on a righteous mission for well over a decade. He hopes to initiate what he rightfully refers to as a “shift in sustainable transportation,” this Summer. His intent is not to electrify the conventional car, but to replace it in its entirety with something, small, fun , and affordable. Mark looks to the conventional 4-wheel car or compact SUV is resource wasteful, while pointing to the fact that most of us commute solo -- tru enough. With a relative handful of alternative transportation automotive engineers, and visionary marketers, Mark and company would seem to be well on their way to bucking the odds of bringing a new and exciting, micro-manufactured transport to a world-market rife with regulatory roadblocks. I first experienced a prototype FUV in the Winter of 2016, and enjoyed the open-road motorcycle-like ease of maneuverability of the two-place trike, finding it to be surprisingly peppy and rock solid road handling stable. Classified by Oregon DMV as a motorcycle, the battery electric powered FUV, comes in under the radar of car-related federal safety regulations. None the less Mark’s 3-wheeler sports crumple zones, passive and active safety features. Eugene, Oregon based Arcimoto’s collective mission and end game is to not only develop and market an affordable, small environmental footprint mode of personal transportation, but to bring their fun to drive 3-wheel electric car to a broad based demographic, while reducing combustion related pollution to near zero. And then there’s the added advantage of in-town maneuverability, ease of parking and at-home grid or alternatively sourced plug-in charging, promised by a 2-passenger electric vehicle sporting a base model MSRP of less than $12,000, nicely equipped -- with between charge dive range exceeding 70 miles or greater, depending on the battery module opted. Believe it or not, the majority of car owners drive less than 30 miles per day. I’ve watched countless automotive and motorcycle startups vanish over the years for several reasons. Here’s one I checked out at the the L.A. Auto Show in 2016. Where is Paul Elio hiding? Capitalization is but one of the obstacles encountered by a micro auto manufacturer. Once a startup raises enough seed money to move forward with a business plan, the realities of facilitation, government environmental impact, and safety regulations, more often than not squash an otherwise well planned market assault. To date Arcimoto Electric has a handful of UV’s (fun utility vehicles) on the road in Western Oregon. The last Time I spoke with Mark and company was in the main lobby of the L.A. Auto Show, they were rightfully optimistic,spurred on b a positive response from a generally optimistic gathering of Auto Press and industry insiders. That was last Fall. This week Mark and company presents their 2018 A1 profit and loss report to investors. Marks sheds some light on the progress and path forward of a company that set out to change the way that you and future generations travel. I believe Mark's onto something, and count myself as on of the 2,000 deposit holders. I’m opting for the fully enclosed delivery pod model. 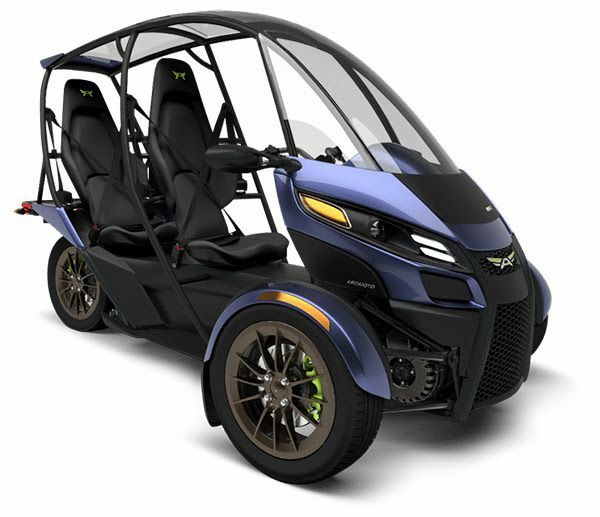 You will find more information on Arcimoto here. Check out the video and let us know if you see a future for micro electric vehicles in the United States. Eugene, Oregon’s Arcimoto Electric is targeting Summer 2018 for BETA model production, we’ll see.